One of the lost arts when it comes to hunting for cheap hotel rooms is coupons. Believe it or not, you can still come across coupons and snag a cheap hotel deal with discounts that save you up to 40% from the original price. Most people who complain to me about high hotel prices aren’t even aware of the fact that you can use coupons to bring down the cost of a hotel room. I’m also not talking about some backwater hotels. Larger hotels, more famous hotel chains like the Hilton, can be found sporting these kind of deals. 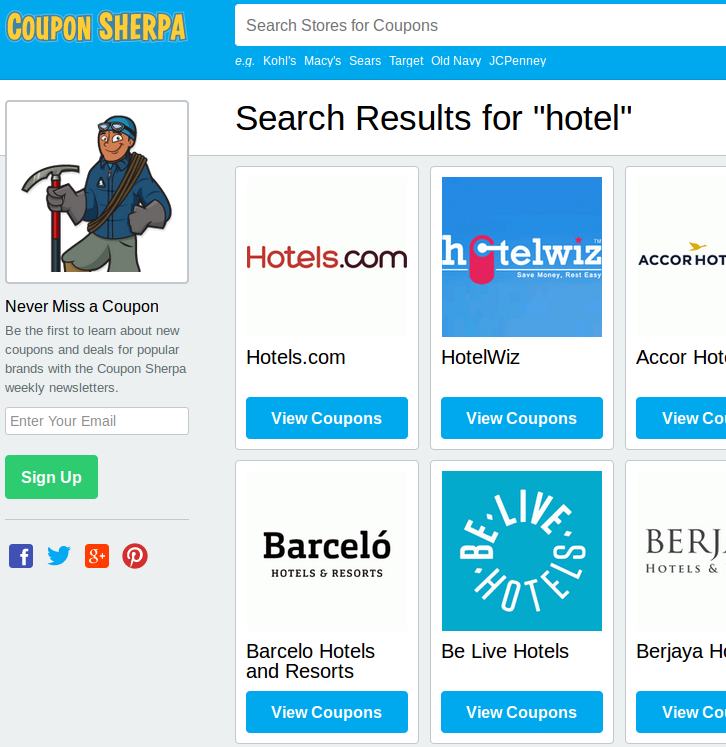 From the image down below you can that I’m looking for coupons on Coupon Sherpa. 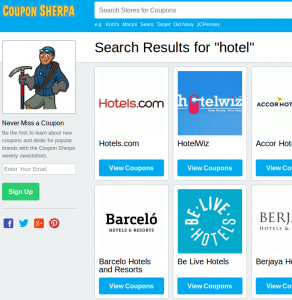 Coupon Sherpa is one of the most famous coupon websites out there. To find coupons for cheap hotels deals, just open it up and look up “hotels” using the search engine that sits on the homepage. Other websites can be used, I’m sure there are local ones in your country with coupons and discounts. Not all coupons will work. Sometimes they expire, or are just not valid for the room type and time periods that you need to make reservations for. It’s a bit of a hit and miss, so don’t give up after first try. Let me know how it went for you, what kind of deals you made by leaving a comment down below.